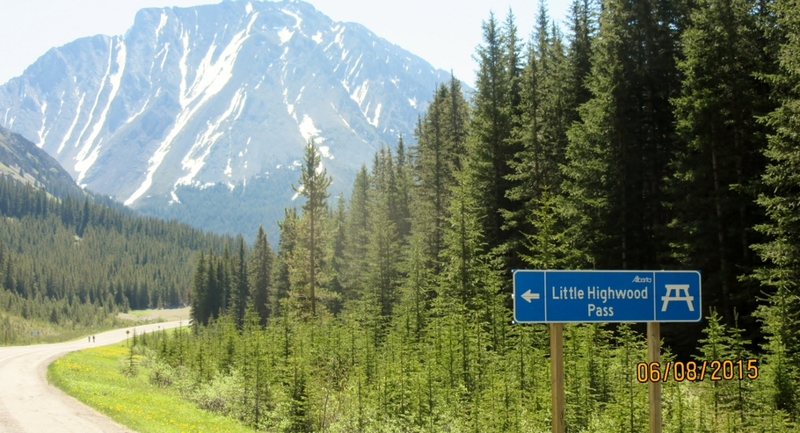 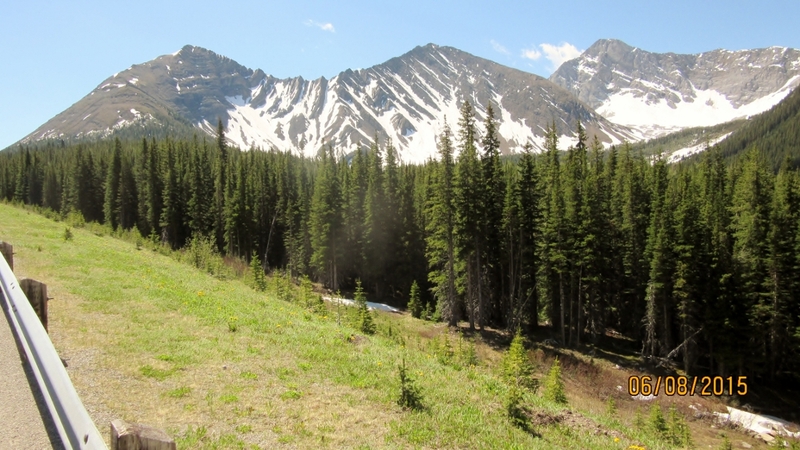 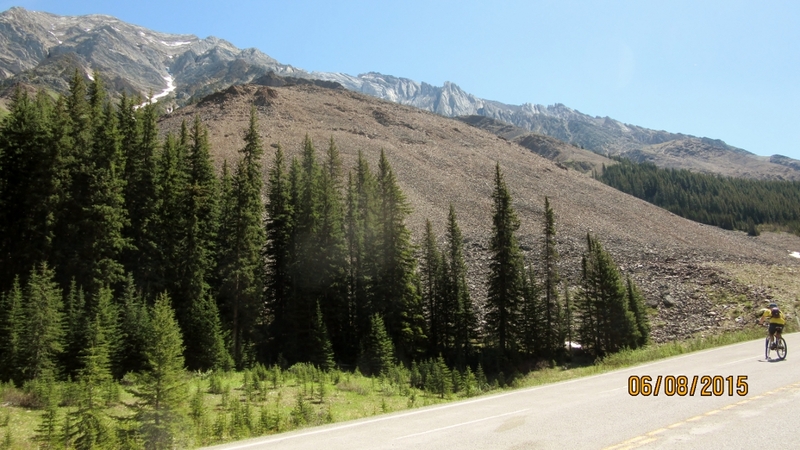 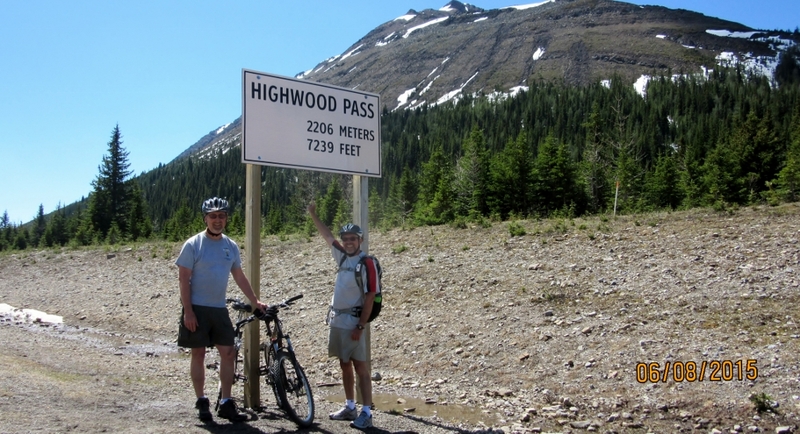 On a very warm June day we headed up Hwy 40 to the turn off to Peter Lougheed Park at the King Creek turn out. 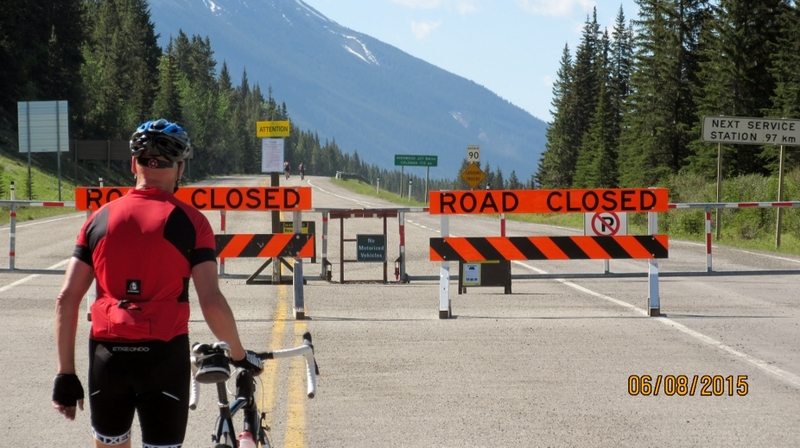 The road ahead to Longview is closed for the winter and is not opened due to wildlife concerns until June 15th. 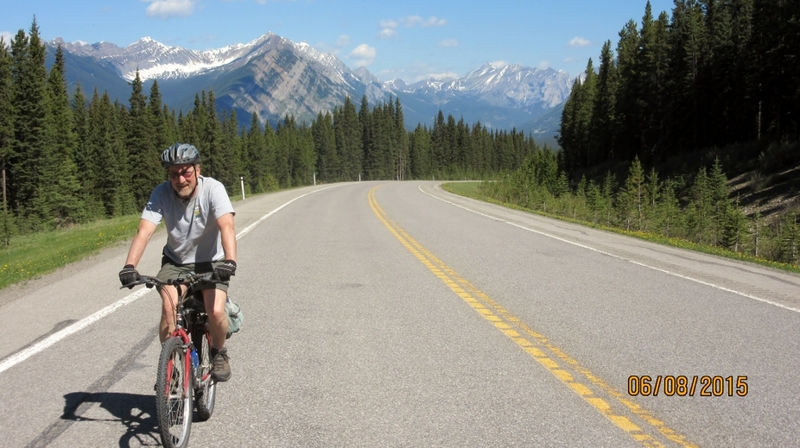 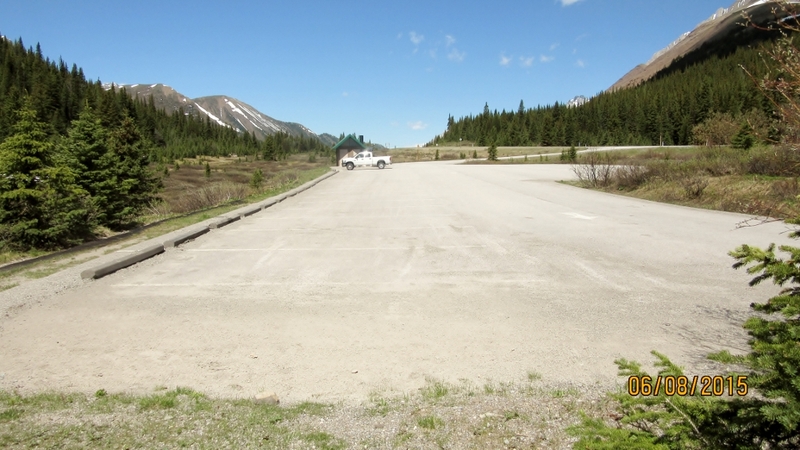 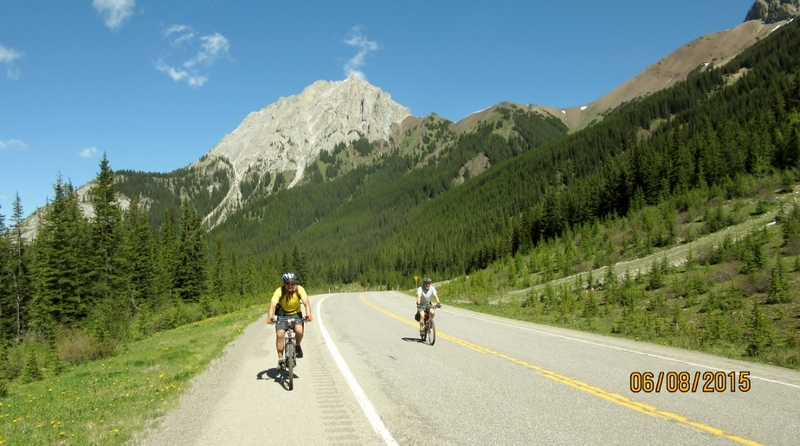 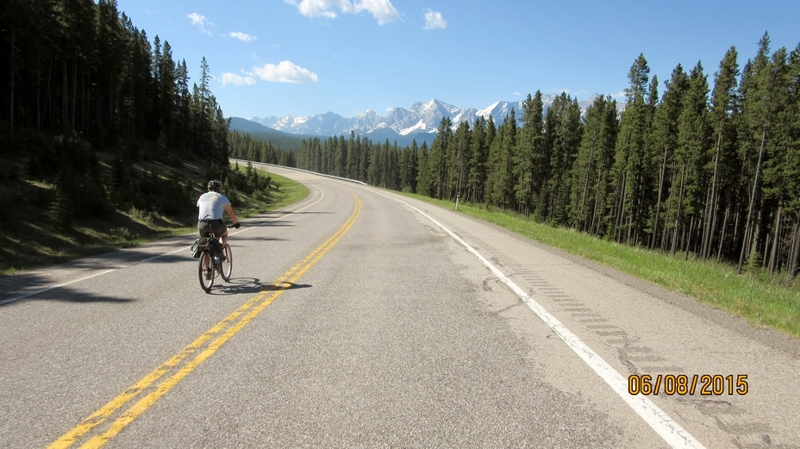 This gives bikers the opportunity to ride the highest paved road in Canada .We checked with parks info at Barrier Lake and they have no problem with this happening. 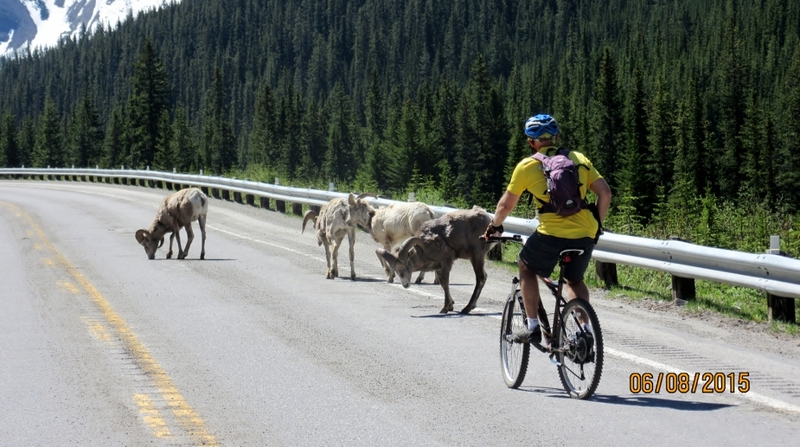 Just to watch out for wild life as they are still not used to seeing people. 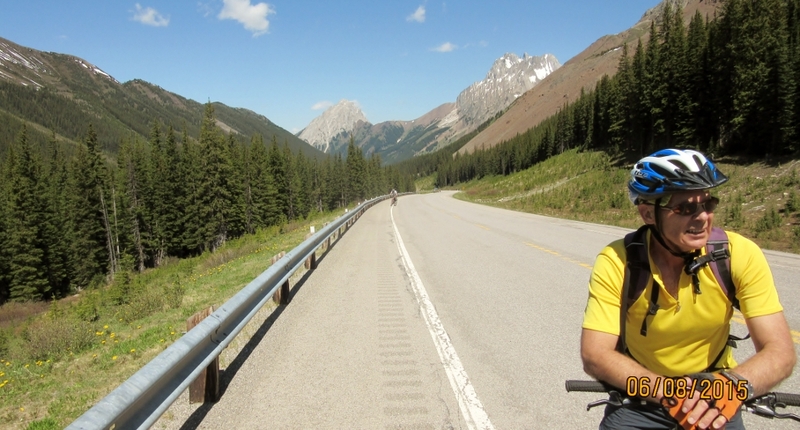 We did in fact see a grizzly bear cross the road and as we cycled by he was only interested in the vegetation on the road side. 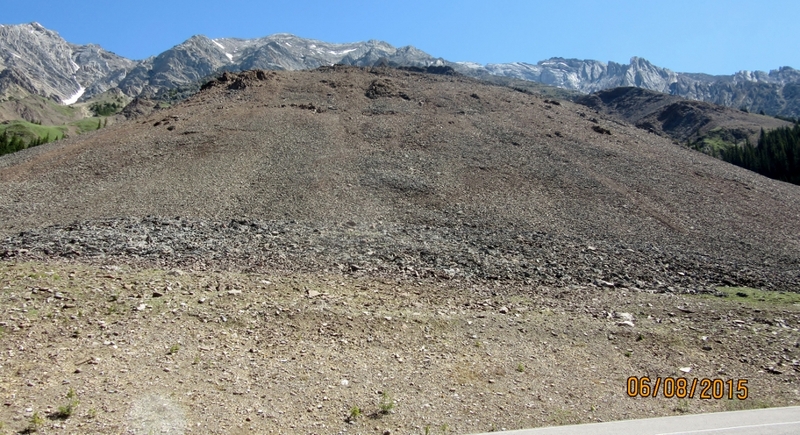 Unfortunately I did not get a good photo shot as he became hidden behind an earth embankment. 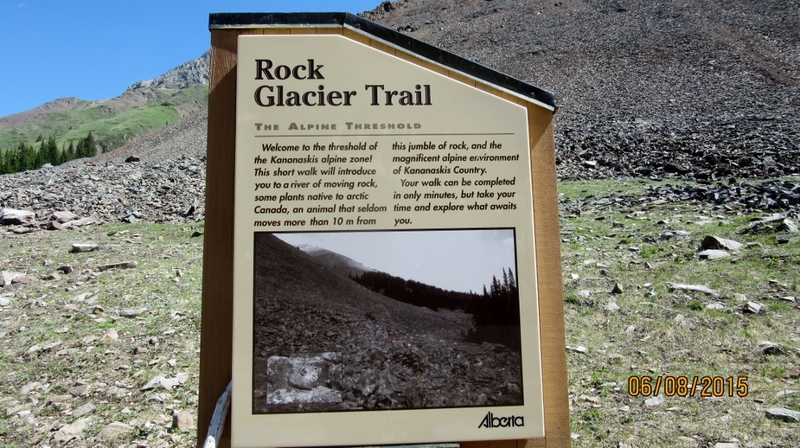 He did take a look at us and acknowledge we were there.When we reached the pass after climbing 510 m it was just a small downhill ride to the summit pullout where we eat our lunch. 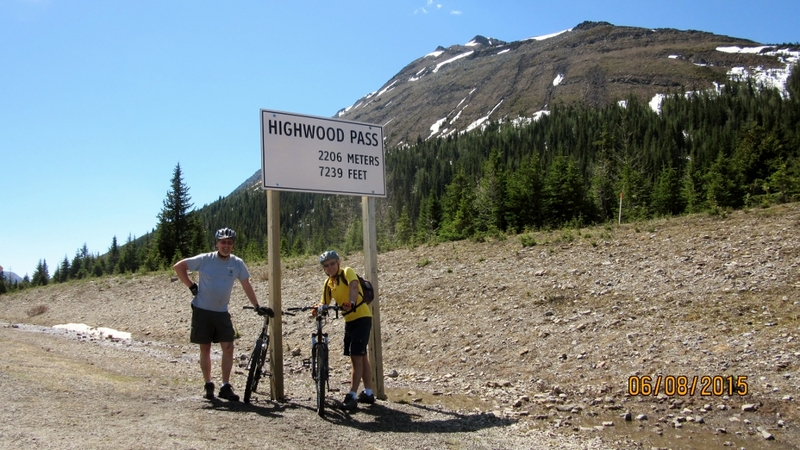 2 hours to the pass and a 45 min ride down back to the gate.